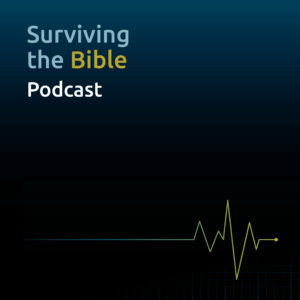 Welcome to the Surviving the Bible podcast. This is a lectionary podcast not just for pastors or preachers, but for Bible nerds everywhere. Each week Christian and Amy Piatt (from the Homebrewed CultureCast) and Tripp Fuller (from the Homebrewed Christianity podcast) explore the bible readings for the week. You’ll get three different perspectives on three different texts to help you survive reading the Bible. This week is the sixth Sunday of Easter. Tripp looks at Acts 10:44-48 and explains why this is such an important turning point in the life of the church. First, he helps to set the stage for this text by looking at Peter and Cornelius – the first conversion of a gentile who didn’t have to convert to Judaism first. Then, he gives us some historical context for the inclusion of gentiles and how it disrupted the life of the church, discusses how the Spirit of God moves against tradition and the assumptions of the community (including privileged assumptions about who is included), and what Peter’s courage can teach leaders today. Christian gets psychological this week. The theme? Growing up and living into the fullness of what we are made to be. Jesus is modeling and inviting us into this life. what defines being a grown-up? why are we pursuing an obedience to God in the first place? Christian also talks about the shift from from focusing on bettering ourselves to improving others and the world, self-actualization, meta-cognition, and learning to introspect. Amy asks if it is possible to be a true friend and not also a servant. In John 15:9-17, Jesus calls his disciples friends. Amy looks at what is significant about this, the both/and of friendship and service, the challenge of true friendship in our society today, the covenant of love, and the consequences of choosing to live a life of love.